‘…With this, he drew the sharp blade at his side, a powerful long-sword, and gathering his limbs together swooped like a high-soaring eagle that falls to earth from the dark clouds to seize a sick lamb or a cowering hare. 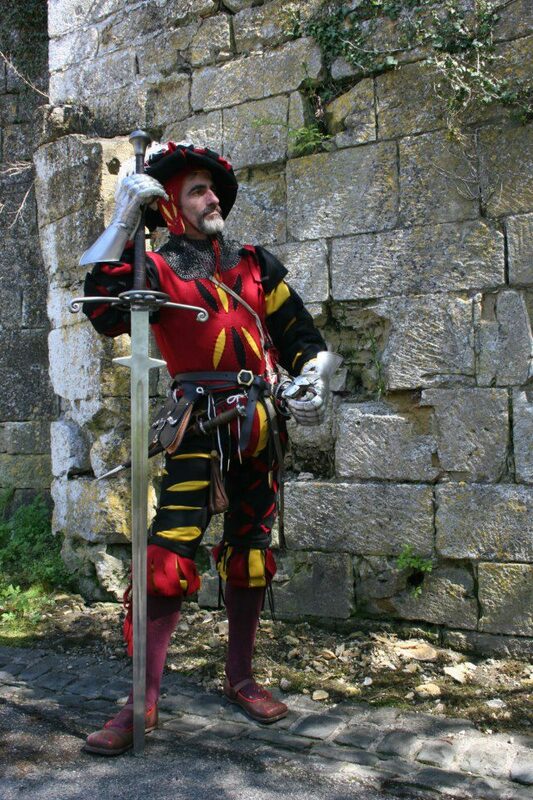 So Hector swooped, brandishing his keen blade. Achilles ran to meet him heart filled with savage power, covering his chest with his great, skilfully worked shield, while above his gleaming helm with its four ridges waved the golden plumes Hephaestus placed thickly at its crest. 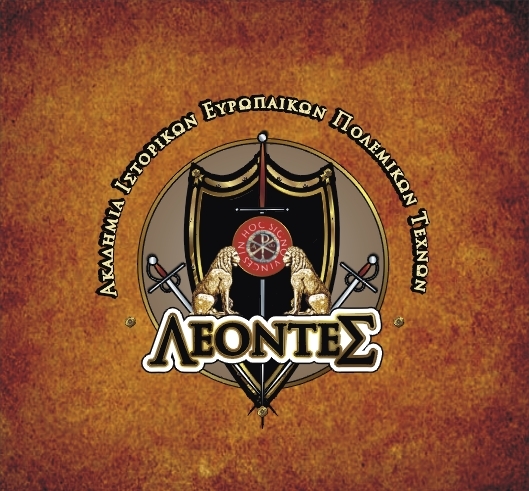 Bright as the Evening Star that floats among the midnight constellations, set there the loveliest jewel in the sky, gleamed the tip of Achilles sharp spear brandished in his right hand, as he sought to work evil on noble Hector, searching for the likeliest place to land a blow on his fair flesh. In the above fragment of the Iliad from book XXII, we see the epic duel of Achilles against Hector. 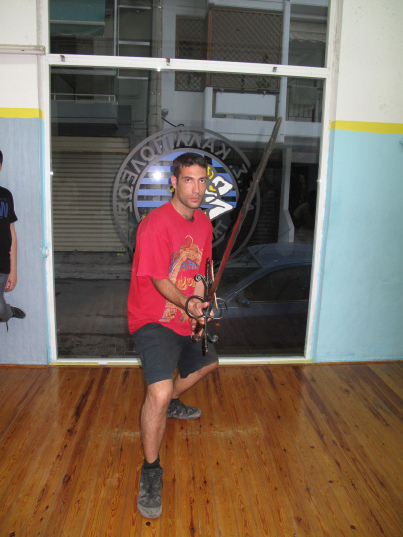 We can see that Hector unsheathe his sharp sword, aiming to kill Achilles. However we all know how the duel ended, with the death of Prince of Trojans. 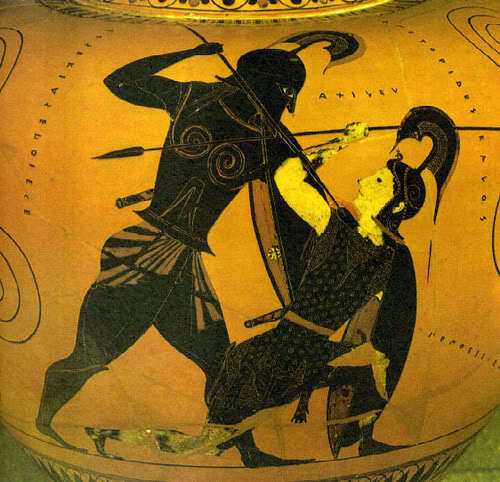 Achilles found a gap to his opponent’s armor and he killed him. 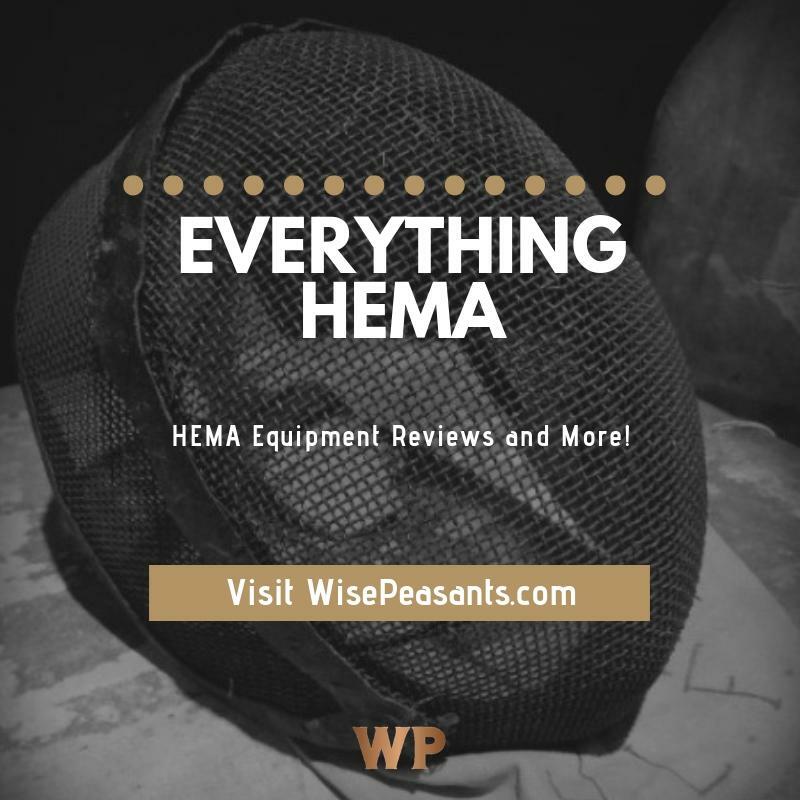 As we can observe, Hector’s armor was almost invulnerable to all attacks, leaving exposed only his neck. All of the above sounds well. Clearly in a duel of two warriors, the duellists have great freedom of movement, even if they are manned with heavy armors and shields. But how they could fight in a phalanx formation? Is it the same to fight in the Phalanx formation, with the honourable duel of two men? Can they use all the attacks and all defences that can perform with their swords and their shields? The fights between opponents where they are having lined up in phalanx or shield wall formation, it was not ‘ free ‘, and this we are going to examine bellow. 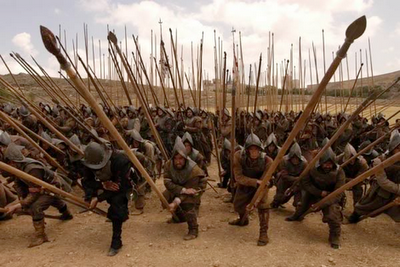 Firstly, we must make it clear that the phalanx formation is different than the wall of shields formation. The Phalanx formation is posterior than the shield wall. 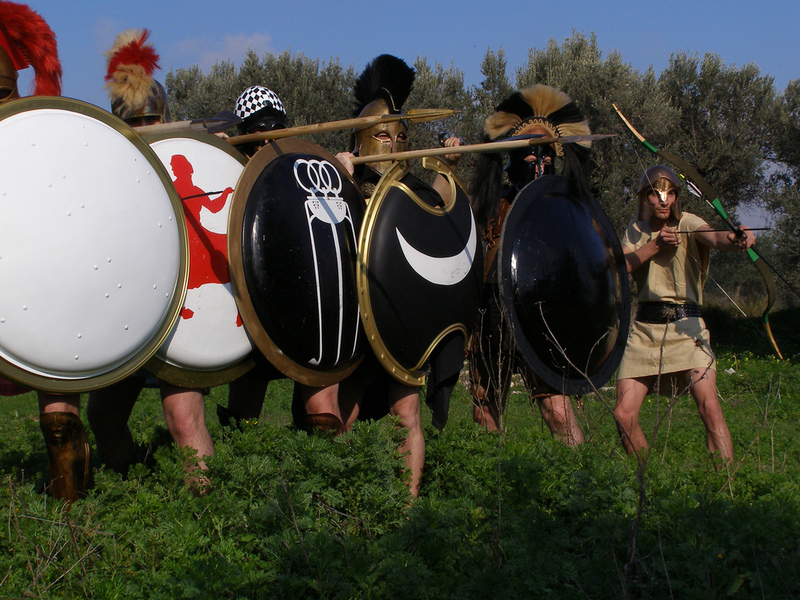 The Phalanx was born after the invention of the shield type ‘ oplon ‘ (in Greek ‘όπλων’ ) where it took the name of the fighter of the Phalanx as ‘ hoplite ‘(in Greek ‘οπλίτης’). Similarities we can found also in the Roman phalanx. The fundamental difference with the Greek phalanx is the Roman shield. 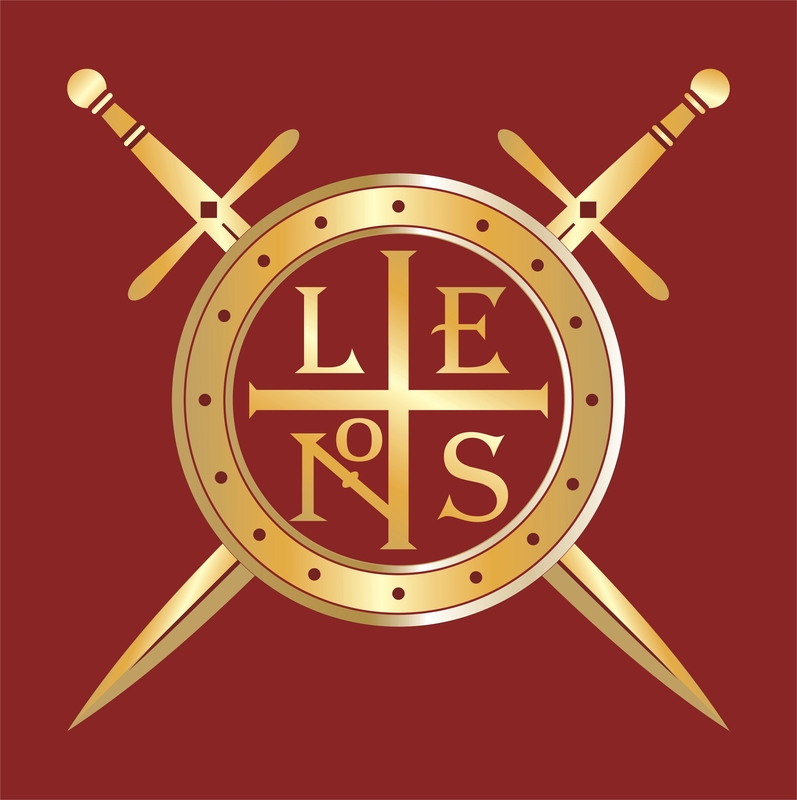 The Roman shield (in Latin ‘scutum’) was rectangular, and also light enough to be held in one hand. Its height and width covered the entire warrior, making him to difficult to be hit from missile fire and in hand to hand combat. 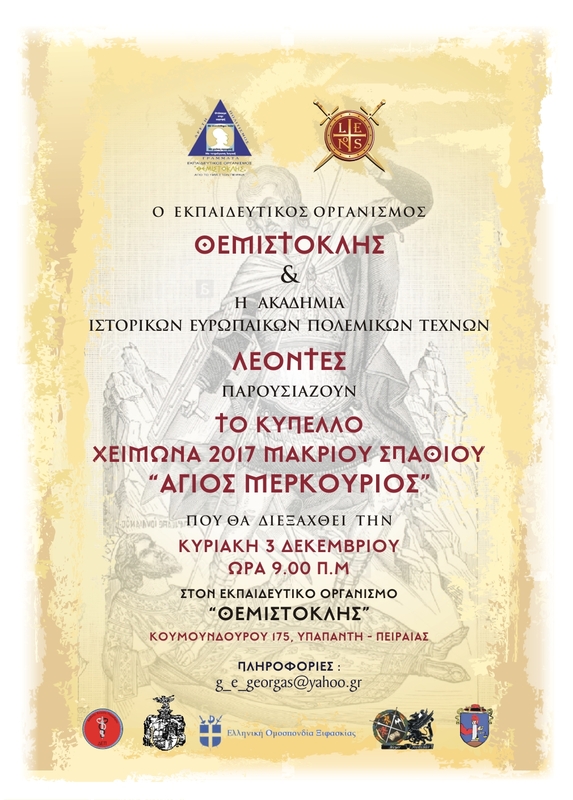 With this shield, the legionnaire was protecting himself only and not the next warrior, as we can see in common at the Greek phalanx. The innovation of the Romans was a more sophisticated than the Greek phalanx. 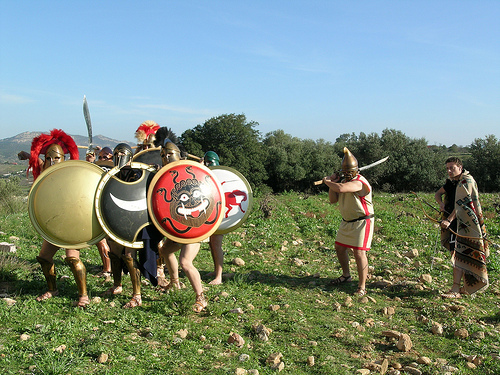 In the Greek phalanx the most experienced hoplite takes his position on the right side of the first line and was named champion (in Greek ‘πρόμαχος’). He was not protected by someone on his right side. Also the hoplites of the first line were always in the forefront until they fall (killed or injured or until their faction defeated). From the other hand, the Romans by changing their shields in individual use, their champion was better protected, and also they could more easily perform lines changes, without having to be killed or injured the Legionnaires to do so. So the Roman phalanx was a very flexible phalanx, in relation to the Macedonian and the phalanx of the southern Greeks. 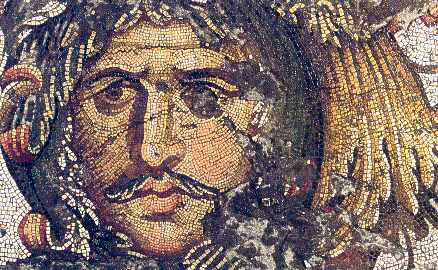 Similarities we can also encounter and at the phalanx of the Eastern Roman Empire (Byzantine). If we look at the phalanx of the Macedonians, we will see that the phalanx was a bit different from the southern Greeks and Romans. 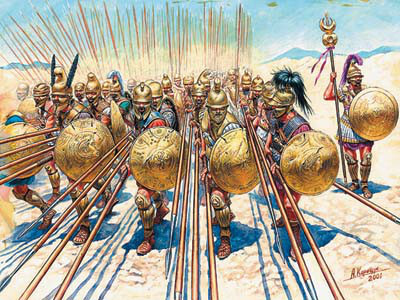 The formation was once dense, but what made the Macedonian phalanx innovative for its time was the type of their spear called sarisa (in Greek ‘σάρισα’). 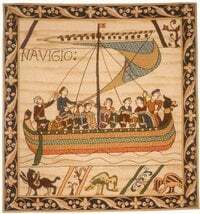 The sarissa was a spear of 5 m length with a weight of about 8 kilos. 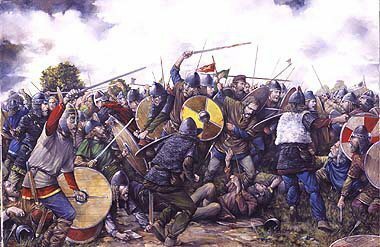 This had the result that could be making active in battle even the 5th line warriors of phalanx. 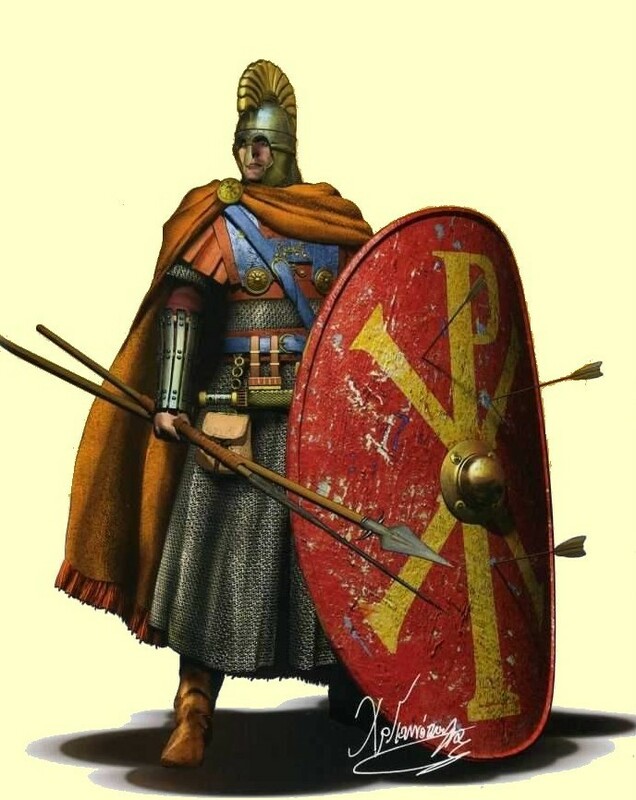 The second difference was that the warriors of the Macedonian phalanx had been round shields; however, these shields were smaller than the southern Greek shields and they were for individual use. They had not hoop and could fly on the shoulder leaving freely both hands to use the sarisa. Of course, these warriors also use swords. 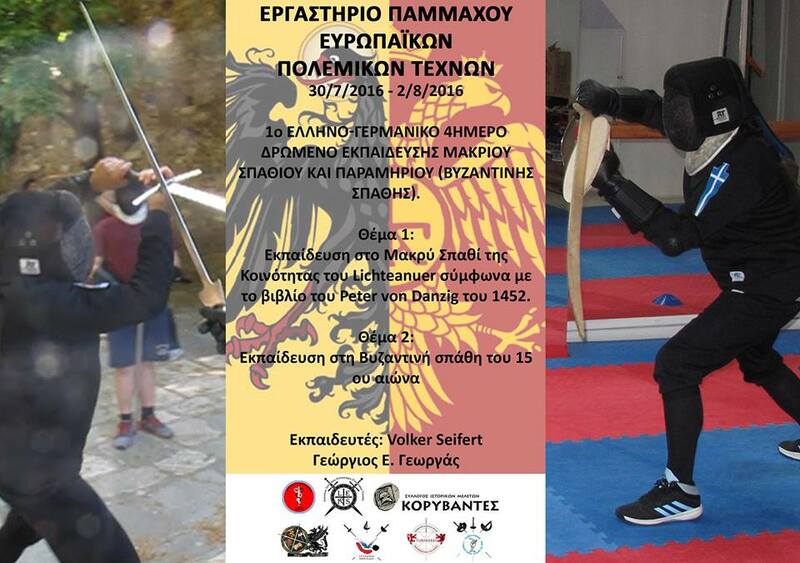 Their swords were small, straight and two edged while some of them uses kopis sword. The fundamental difference between the Macedonian and the phalanx of the southern Greeks were the following. 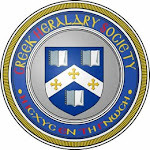 The Greek phalanx has one goal. The destruction of the enemy’s phalanx or shield wall. This was done with a quick charge against them. 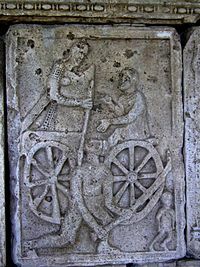 From the other hand the Macedonian phalanx was more static and the goal was the entanglement of the enemy, until the Macedonian cavalry charge from the left and right of the enemy shield wall or phalanx. 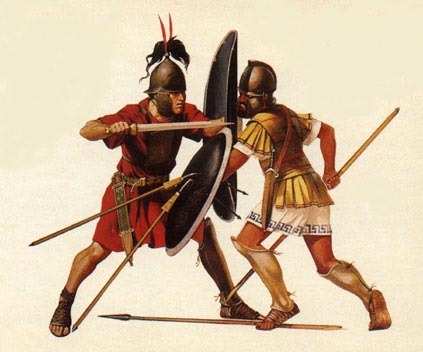 For this reason the Macedonian phalanx has from their sides support units to protect them such as slingers and psilous (light infantry), otherwise there are always the danger to be slaughter from their enemies if they flanked. 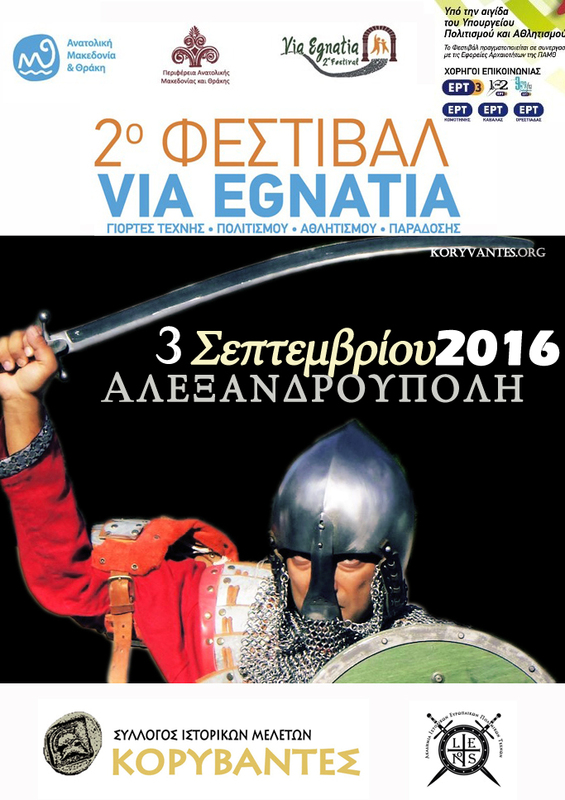 This happened at 197 BC at the battle of Cynoscephalae between Macedonians and Romans. One unit of Romans flanked the right wing of the Macedonian phalanx and they slaughter the almost all the sarissa wielders, and with way the Romans won the day. 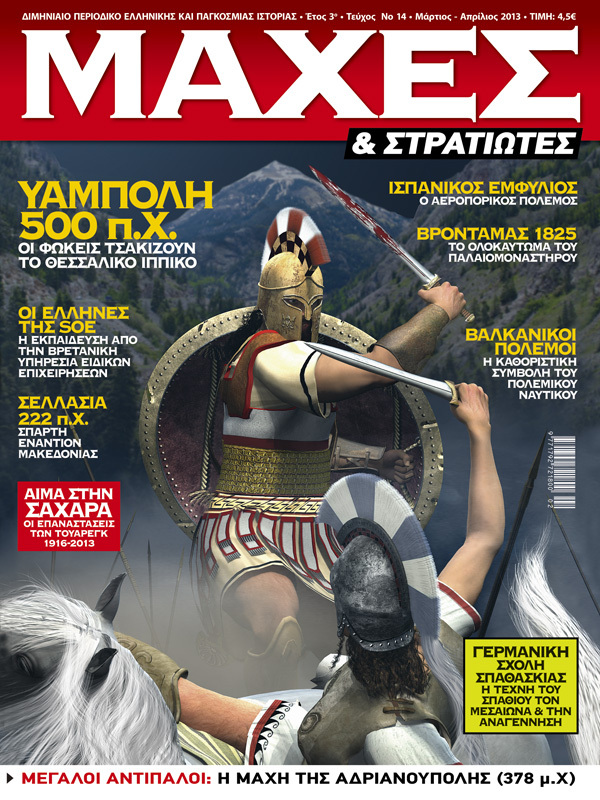 The strange is that for a long time period (nearly all Middle Ages) the Macedonian phalanx was not used by any army. Only the Scots and Picts indicating that fought with long Spears, but we can not say that seemed too with the Macedonian phalanx. Suddenly a type of Macedonian phalanx formation resurrected, at the end of the medieval period in central Europe. At first, from Germans, and later from Swiss warriors. There were battalions and companies; they had spears of 4, 5 m length. 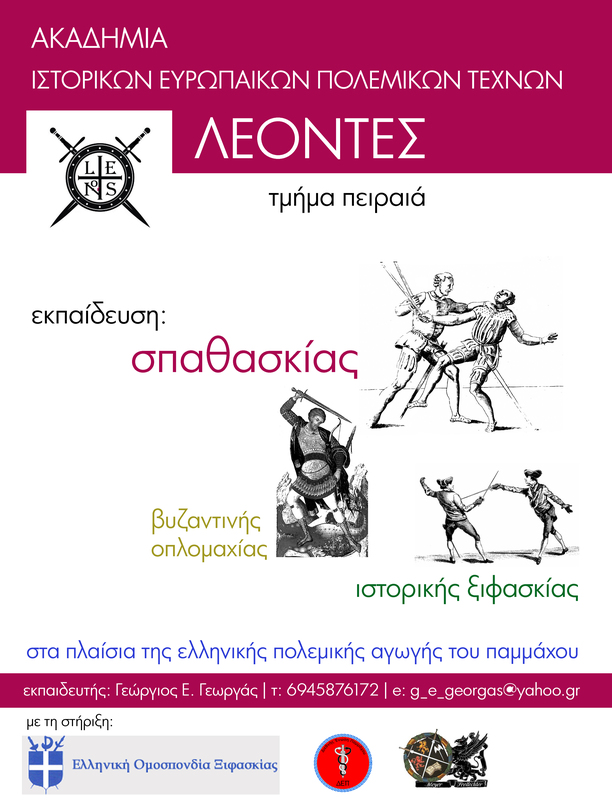 The combat tactics were almost identical to the northern Greeks of antiquity with a fundamental differnce. These warriors had no shields! Lets go back in time to the barbaric armies of Gauls, of Saxons, of the Celts, and Goths, we can see that they had a heavy sluggish shield wall that we can say that reminded a bit of the shield wall of the Danaeans and Sumerians, although they used much smaller shields, usually round (apart from the Celts and Gauls which they had larger shields). Almost all of the barbarians were charge unorganized to the enemy. At first they were throwing against their enemies their javelins, and then they fought with swords, axes and spears their opponents. All the above formations we saw, they have major differences and some similarities. But all off them had a common denominator. The side who won was the side that not dismantled the phalanx or the shield wall. So if they do not want to dissolve the Phalanx or the shield wall, they had to keep their lines in short, one being crammed next to each other and the back lines must touched the front. 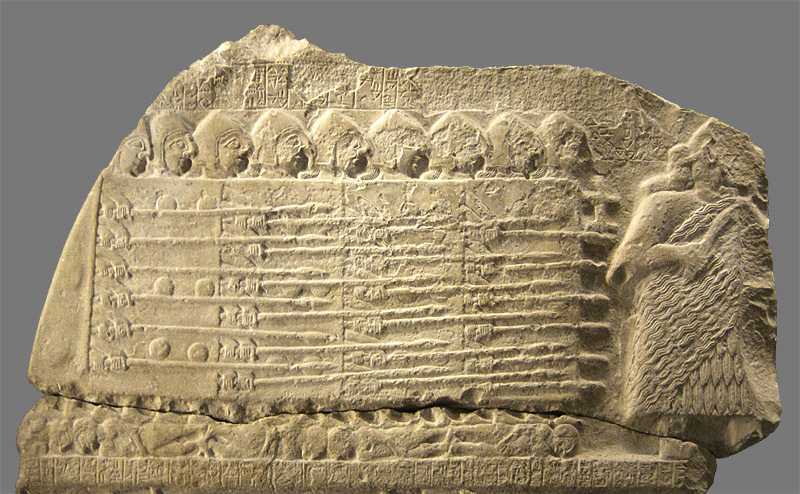 So as we can understand, the warriors behind a shield wall or phalanx had very little freedom of movement. 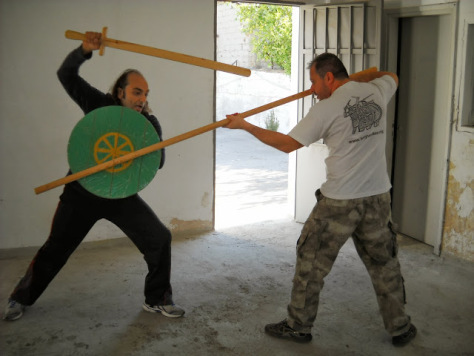 Dueling lesson, between a Greek hoplite with the use of shield (of type ‘oplon’) and short sword, against a swordsman using a Thracian Romphaia. Equipment courtesy of livinghistory association Koryvantes. 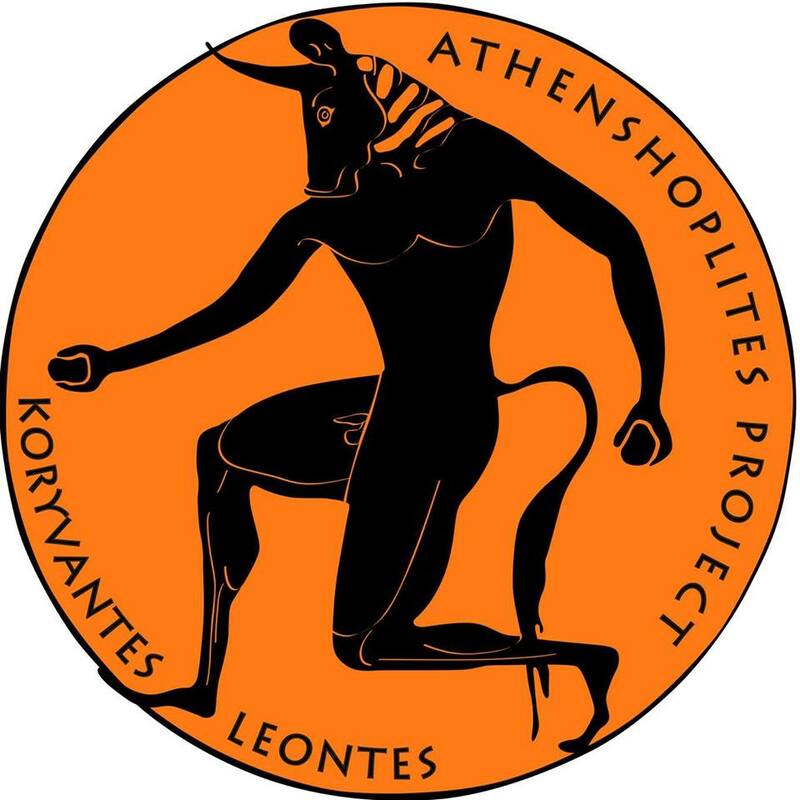 Let us turn back for a bit in place of a hoplite in the first line. He had at his right and his left, his companions with their shields to cover him. Behind him, he had other hoplites where they push him with their shields to force him to go ahead, while at the same time, he had near and over his head the spears of his companions. Somehow in battle the spears were broken or lost. 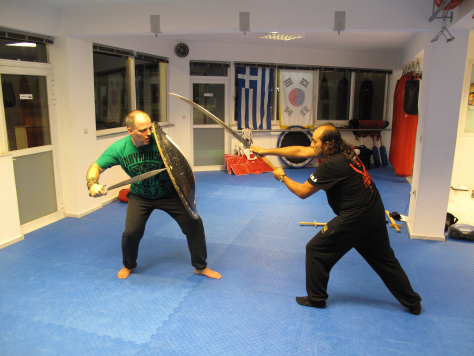 Then they used their short swords or their kopis swords. While the spear was relatively simpler to use, with the sword were changing things. 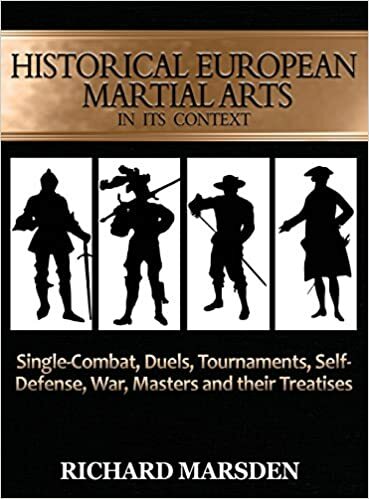 The first difficulty that would meet was that if the opponents had Spears (not had them break even) then he and his fellows were at a disadvantage, because the sword was much shorter than the spears of their enemy. Of course this disadvantage disappears due to the use of the shield and armor they wore. If you manage to reach the opponent (and here is the great difficulty, could not get out of the line of the shield wall or phalanx, had all along to reach the opponent shield wall, if someone did this and lived there were great punishments especially in Roman and later in Byzantine army. For this reason the officers did not put in the first verse the new recruits), moves that could do were limited, however was extremely bloody. 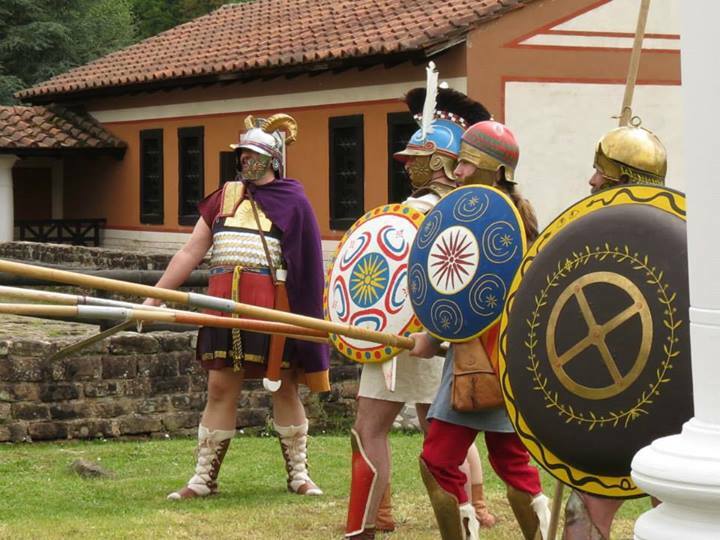 Roman Legionnaire perform thrust attack with his gladius against a Macedonian opponent after incumbent his shield with his pillums. 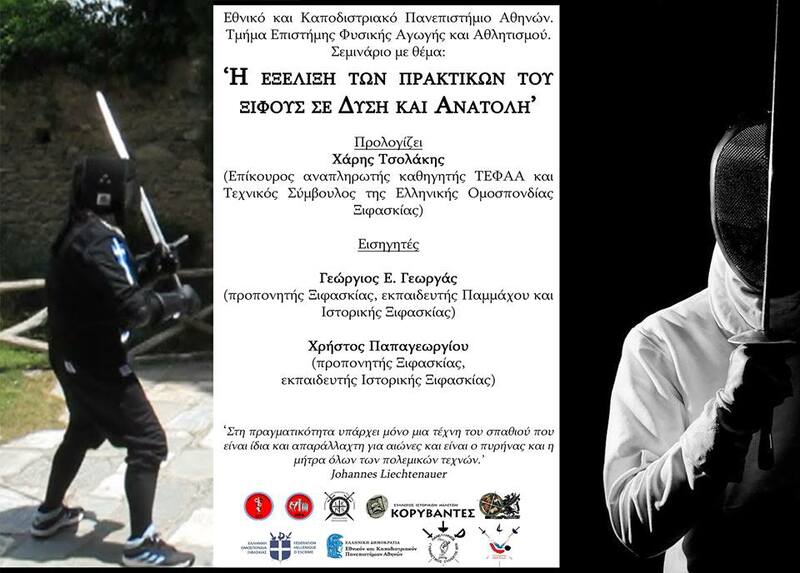 Let the Greek Hoplite for a while, and let’s go to see the theoretical blows of the sword. 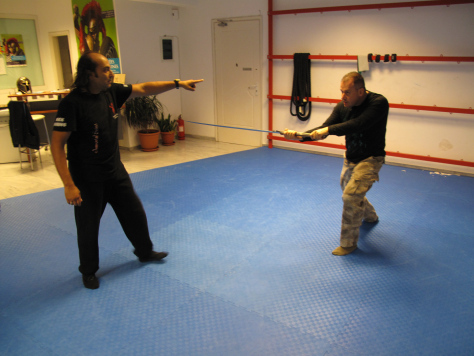 There are 8 cuts that can perform a swordsman. 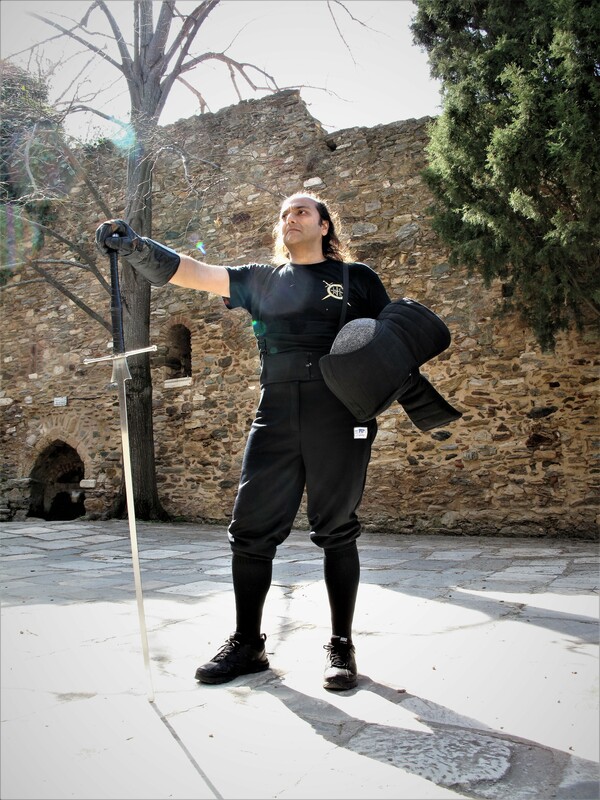 But these blows can use the swordsman in connection with the open area that has free around him and the distance of the opponent. At the Phalanx and the wall shields the blows kept dramatically in two cuts only. A vertical slash and a diagonal cut (from above) while the main attack and more effective we could say that it is the thrust. So we have 3 basic attacks for the warriors. I must emphasize here something. The thrust attack was the main and most deadly attack from all the others. While the bumps and cuts were clearly limited, the warriors could most effectively be hitting their opponent with their thrust attacks. Most prevalent was the thrust attack that began over the shoulder height (the sword held over his head, with the point to the eyes of the opponent) and the target area was the head or the neck of the opponent. 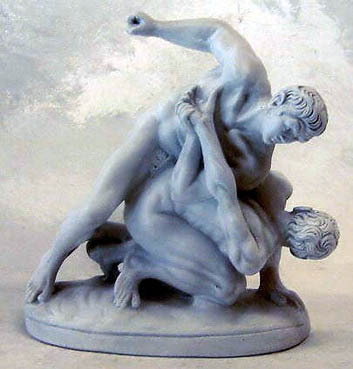 The next deadly attack was also a thrust attack, which posits the shoulder height and was again aimed at the opponent’s head or neck. Finally it was the attack that came from down towards the abdomen or the breastbone. Of course this last attack could be effective on opponents who wore not heavy armor. The confrontation of rivals in a shield wall was not easy at all time periods (ancient age-middle ages). There was great cornering and big prodding and from the opponents, but also from their companions, and where to push the front line to push their opponents in order to allay the Phalanx or the shield wall. The result in all of this chaos of the battle was the first series of two opponents to be extremely close. In this case the two attacks involving cuts and blows nearly cancelled. Imagine that the opponents were very close, and the fighter’s shields were in touch. What happened then? 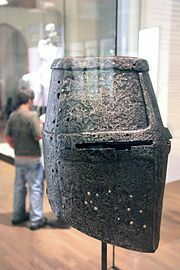 A German crusader helmet, of type ‘heaume’ or great helmet or pot helm, bucket helm or barrel helm. Clearly they could use the thrust attacks, but could apply and a cut usually with the use of kopis or a curved sword. The target area was again the head (and usually their aim was not the in front of him opponent, but he’s on the right because of the shape of the Phalanx was easier to attack). 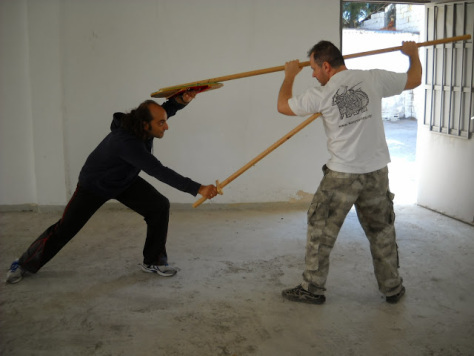 The warrior could bring his kopis or his sword in vertical stance with the ground in front of the opponent’s eye level and with a simple vertical cut to the ground; he could hurt the enemy’s head. Of course, this move could be performed under certain conditions.For example, in a Corinthian type of helmet this attack was useless, or if we go in medieval times, if a Saracen for example did this attack (which was common from the warriors who had scimitars) to a crusader knight who wore a helmet type ‘heaume’ does not have any hope to succeed. So this attack was effective against lightly armed warriors or to the warriors with no helmets. We conclude again that the thrust attacks were the most effective. As we can understand, in a duel out of phalanx or from shield wall, or if the phalanx was break, a swordsman could perform all the 8 line attacks. But it was impossible to use these attacks to battle back from shield wall or in phalanx, except for one person of the phalanx. The champion. The champion (either in ancient times in either Roman or the Byzantines even in the armies of the barbarians) was the most experienced of the Phalanx. 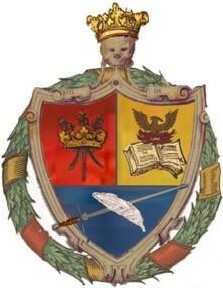 He had to operate out of the spear and the sword with great expertise. His sword should handle and offensively but also defensively because he has not right to him other warrior to protect him with his shield. This Warrior we can say with confidence that he could use his sword with greater freedom of movement than his companions and is reasonable, since the right of the side was completely free. However again, the safest attack was again the thrust. 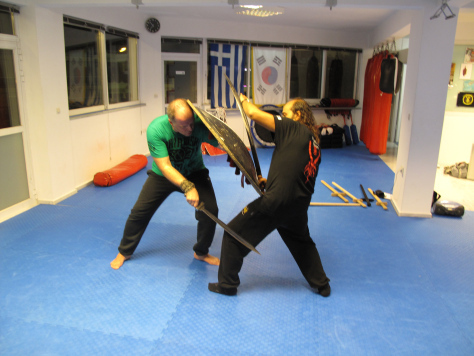 By using a thrust attack, the warrior can defend his self more directly, and also the blows with piercing are more deadly than the cuts. This was proved by skeletons of people who found on battlefields, the death of these people came from thrust attacks. Of course behind the shield walls there were not only shield bearers but also warriors where they used heavier and bigger swords. These swords were called rompaias, and were used with both hands; some of them were adjust on a long pole reminding the medieval halberd. 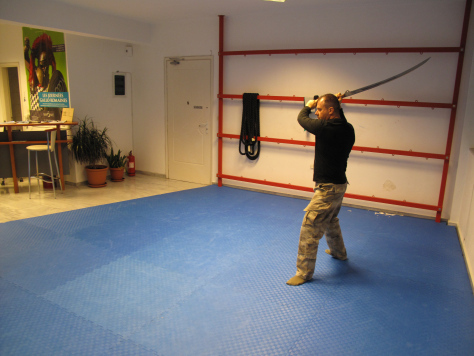 The sword used by the Thracians and the more often from the Dacians. The sword had a long blade where it was curved on edge and very sharp and pointed. Could use and warriors second row if it was attached to a pole arm. The warriors used rhomphaia was not fully behind the shield walls. For example the Thracians were self-contained units with romfaia bearers. 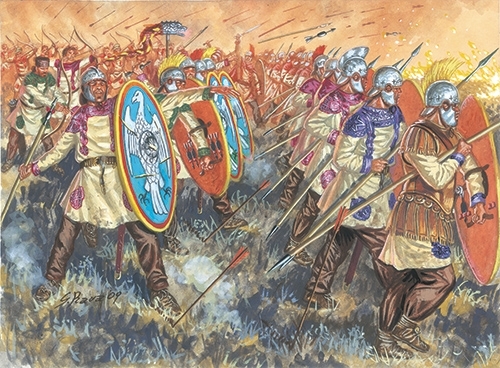 They were charge toward their opponents having great distance between them (originally before the hand to hand combat, to be harder to be injured from the attacks from archers or from slingers) and with their long and deadly sword, they could easily affect their opponents, either kill them by hitting on their head (the Romans had suffered tragic losses of the Dacian’s romfaia bearers. The Romans modify their protecting helmet with metal lining to the neck of legionary), either ruining the shields of enemies with powerful blows. Because these warriors were quickly charge and then they were running back to their lines, we appreciate that they could use their sword more freely especially if it wasn’t in very dense formation. If the used behind shield wall (where the rhomphaia was attached to a spear), almost always the swordsman was protected by two shield bearers, whilst he might attempt attacks on the enemy. The use of the Rompaia was one of the longest-lasting weapons of antiquity until it stopped abruptly after the conquest of Thrace from the Romans. It disappeared for many years and it ‘ resurrect ‘ as the name only in the Eastern Roman Empire. In essence it was another kind of sword that was adapted in the imperial army and got to be used by elite warriors of the Romans of the East, up to the time of emperor Alexios Komnenos, where there are testimonies that he himself had the greatest and most sharp sword (rompaia), while he was the best swordsman of the Byzantine Empire. 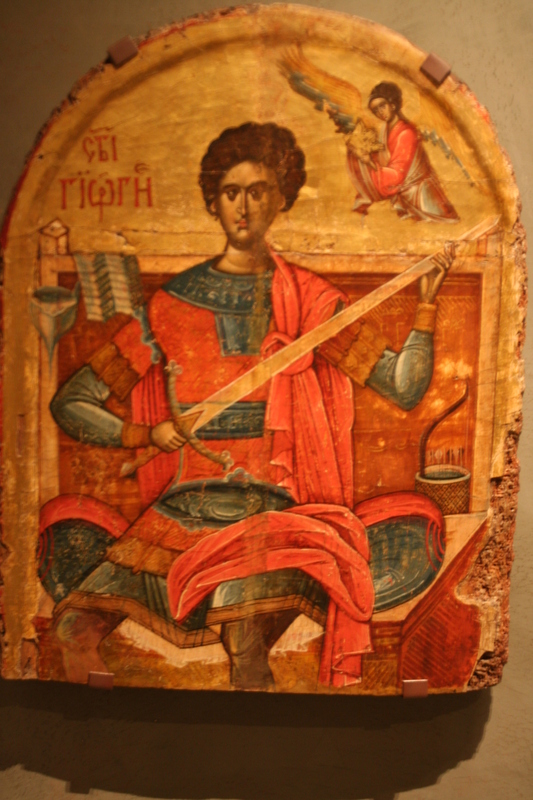 In this Byzantine icon of st. George, wehave an example of Byzantine rompaia. 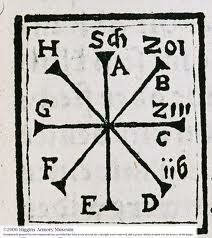 The original form of the Rompaia as we see above was lost with the conquest of the ancient Romans. However the Romans of the East built other swords that they named Romfaies. There were this big, one edged and could use them with both hands, and however they had also cross guard, while the swords of the ancients were not. Also the new type of Rompaias had its edge from the other side than the ancient one. The other type of Rompaia was a double edge sword which was very similar with the great swords of the medieval times. 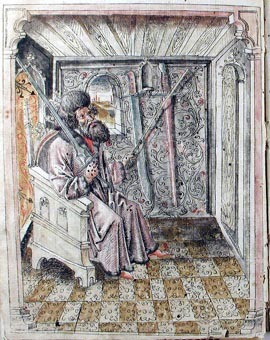 Similarities with the Romphaia had the two handed sword of medieval times, namely the Zweihände. Otherwise called great sword or Bidenhänder or Bihänder. 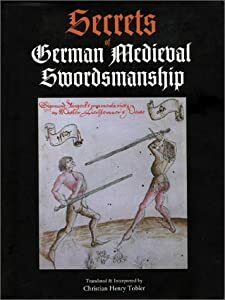 Appeared in the late middle ages and early Renaissance and it looked great with the long sword of German Langschwert where had the great use of the middle ages. The Zweihände was 1.4 m long and had round weight in to 2 kg. Because of its length, they used also in common as a piercing weapon. 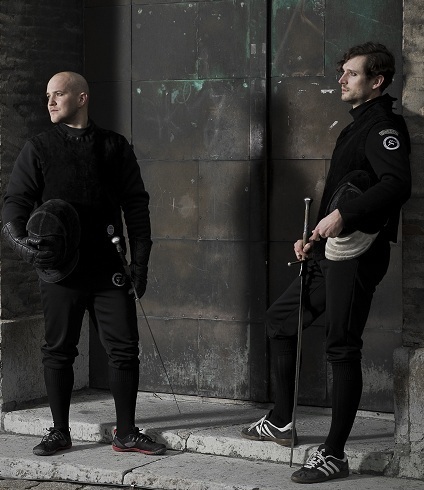 They use it in common the German mercenaries, the legendary Landsknecht and those who brought it called Doppelsöldner. These outstanding ones swordsmen did not use shields; however they were used against long spear men or warriors with pole arms. 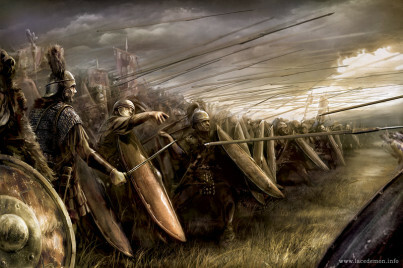 With their swords cut the spear and breaking the formation of the Phalanx, almost similar to the combat tactics of the Thracian and Byzantines when they had warriors with Romfaias. 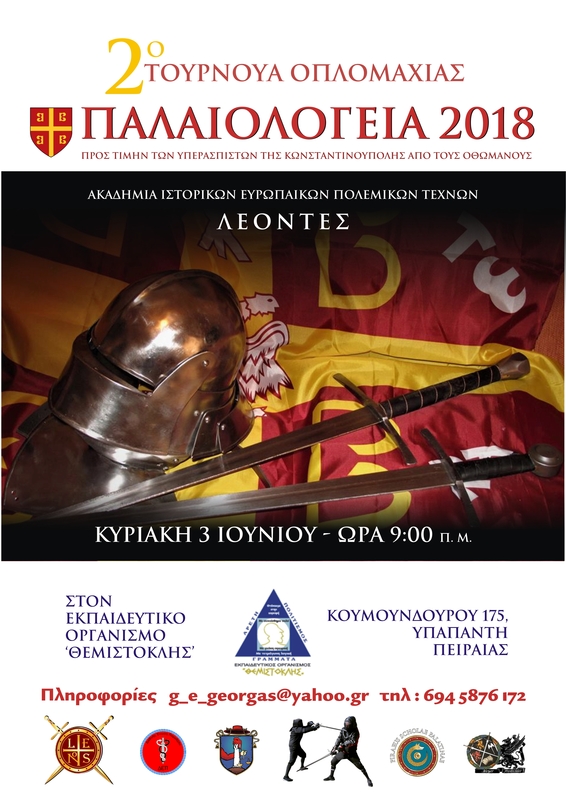 In this brief study, we can understand that the sword in ancient times was a secondary weapon, and the king on the field of battle was the spear. But if the spear broke for some reason, then the sword took his place. The Romans from the other hand, as I mentioned above they developed and made the sword their main offensive weapon. They flew their pillums against the shields of the enemy, and they won the battles with their gladius. The Romans of the East did the same using long double edged swords or the paramirion one edged curved sword, while the same applied also the barbarians in the West and later the medieval kingdoms of Europe. However the battle in phalanx and behind shield wall with the use of the sword, remains almost the same, with in use 2 or 3 cuts, and dominant attack be the thrust.